This paper investigates event-triggered adaptive compensation control in the face of uncertain stochastic nonlinear system with actuator failure and output dead-zone. 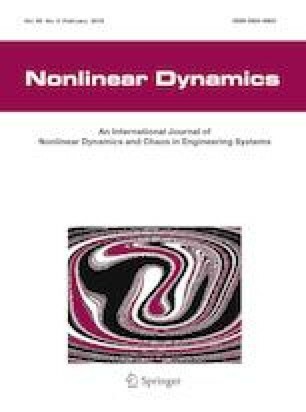 It is still an arduous task and challenge to design a compensation controller for uncertain stochastic nonlinear system. In order to avoid damaging output caused by the nonlinearity of the system, blended neural network integration with Nussbaum-type function is proposed. It is established to ensure the provision of the tracking error constraints, which is based on backstepping Lyapunov function technique. Additionally, system transmission resource constraints and actuator failure problems exist simultaneously in the system, which is extremely challenging for control design. More transmission resources are demanded when the system is suffered with actuator failures, while the system transmission resource is limited. Thus, the requirements cannot be achieved. It is difficult and challenged to ensure the system tracking performance. Using the proposed event-triggered controller and combining the Lyapunov synthesis, a novel optimization algorithm is deduced to guarantee the closed-loop system stability and the convergence of the tracking error. The simulation results illustrate the effectiveness of the proposed neural networks adaptive control approach. The authors would like to thank the Associate Editor and the anonymous reviewers for a number of constructive comments that have improved the presentation of this paper. This work was supported in part by the National Natural Science Foundation of China under Grant 61573108, in part by the Natural Science Foundation of Guangdong Province 2016A030313715, and in part by Guangdong Province Universities and Colleges Pearl River Scholar Funded Scheme.